Birlinn are an independent publisher based in Edinburgh with a wide catalogue of non-fiction and fiction books. 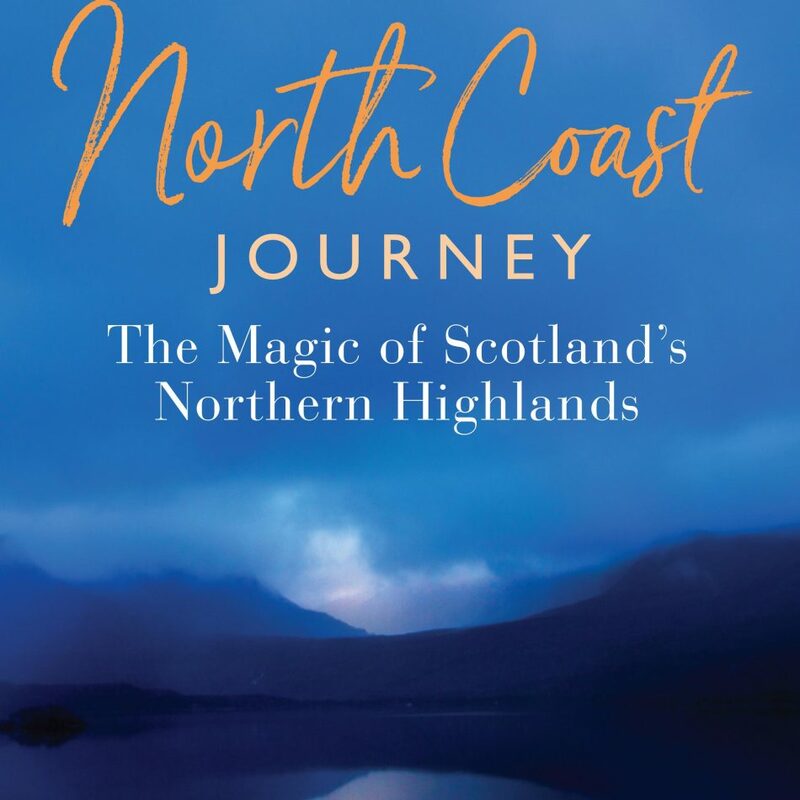 They approached Lovell Johns as they required a series of artistic maps to illustrate a new guidebook to the north coast of Scotland, North Coast Journey: The Magic of Scotland’s Northern Highlands by Brigid Benson. The schedule for production was quite tight, with final maps being needed for print about three weeks from order. 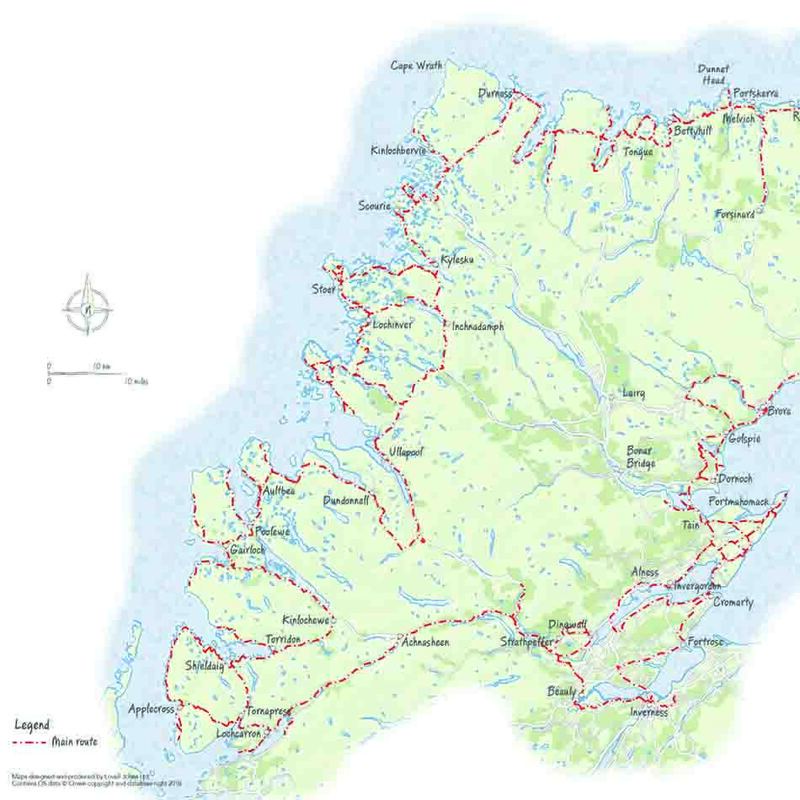 Birlinn Limited required one overview map and ten separate stage maps to illustrate each chapter of the guidebook. Lovell Johns were supplied with the route, detailed lists of the places to feature on each map as well as the geographical and page areas to be covered. We decided to work on one map to define the style for the whole set, so we provided a selection of sample maps for comment. The client was looking for a ‘hand-drawn’ style with an indication of height, so we designed a simple map with hypsometric tinting and a handwritten font. Various features (peaks, lighthouses) were highlighted with a small illustration and all line work was given a pencil-drawn effect. 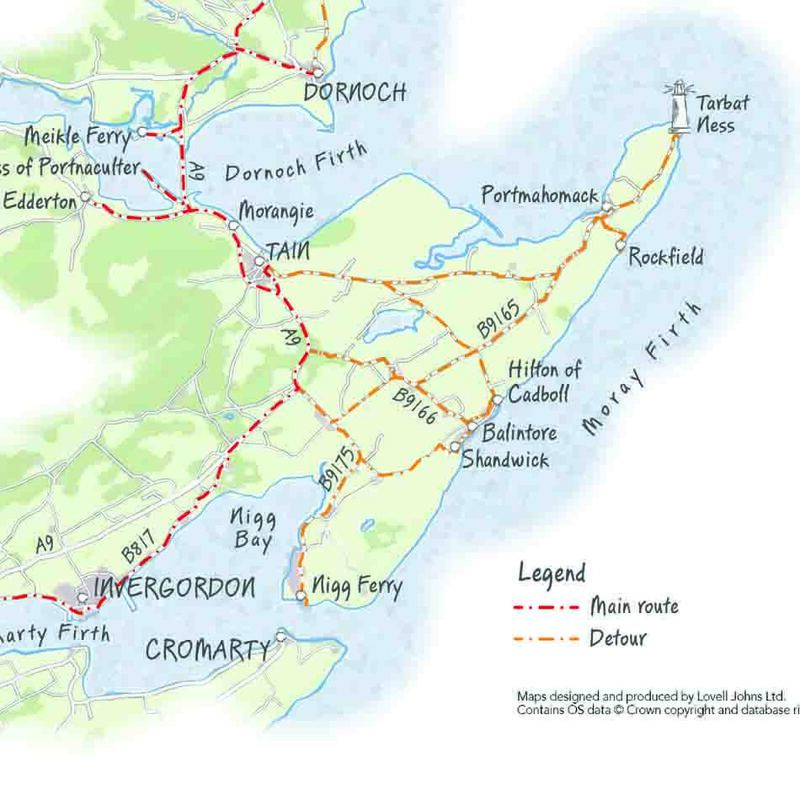 Once agreed and signed off, all maps were produced to the same style and layout and supplied as print ready files for insertion into the book.